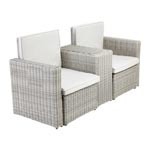 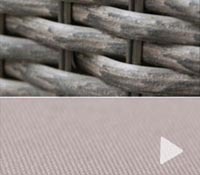 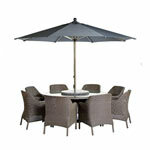 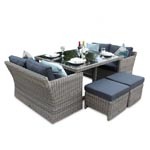 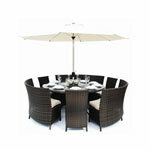 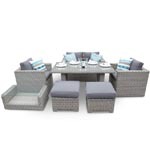 featureDECO's Versatility Rattan Furniture Set is a stunning garden piece crafted from natural 12mm flat PE weave rattan. 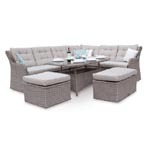 The exciting design allows you to use the sections of the Versatility in different combinations to create various seating areas, such as a dining set or a sofa set. 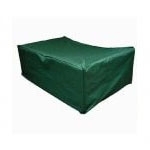 As well as this, the Sofa Sets tucks away into a cube when you are not using it, adding practicality when moving and storing. 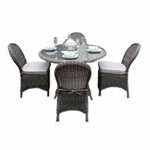 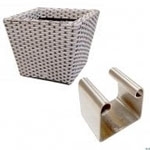 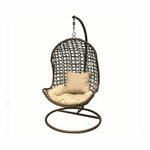 With such amazing functionality, this rattan set can offer you so much more than a conventional furniture set. 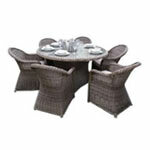 Transform your garden dining experience with a Versatility Rattan Set. 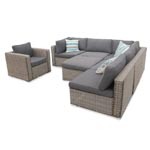 For those summer days relaxing in the garden the 2 seat sofas can be combined witht he cushioned foot stools to create rattan daybed sofas, the ultimate in rattan garden furniture luxury. 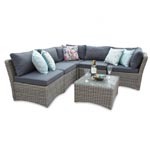 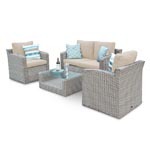 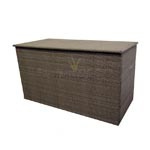 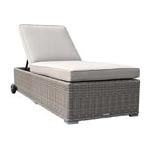 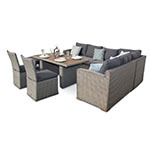 Basically, the Versatility rattan garden furniture set is as it's name suggests, an incredibly versatile piece of rattan garden furniture, offering both furniture set and sofas within one neat, compact unit. 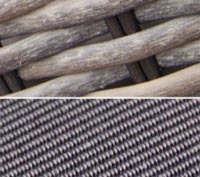 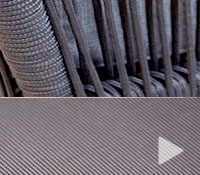 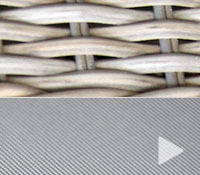 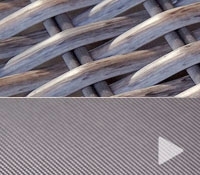 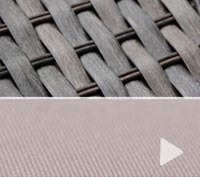 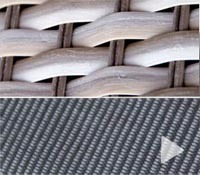 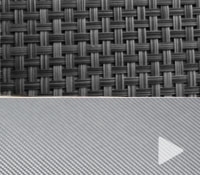 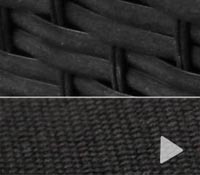 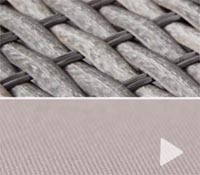 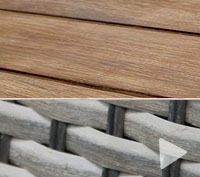 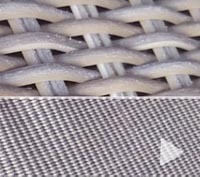 - Natural Looking 12mm flat PE weave which is a synthetic wicker fibre. 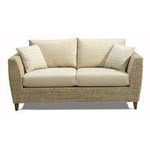 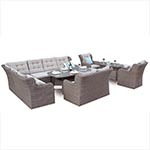 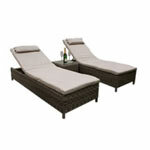 - 2 Luxury Rattan Sofa Sets with Polished Aluminium Feet and 4 Ottomans with Cushions. 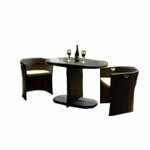 2 Pieces of Glass for use as side table or coffee table. 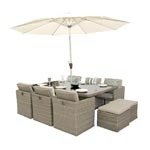 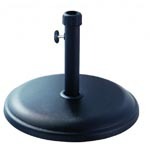 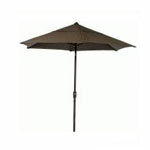 The scatter cushions are for illustrative purposes and parasol and parasol base are not included in the base price.